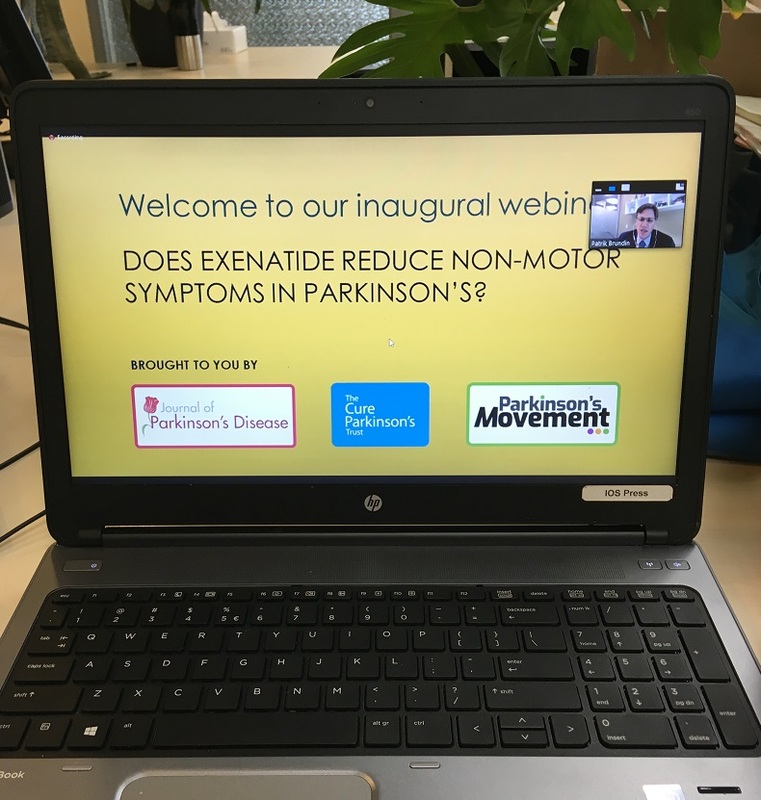 Video of the Inaugural Parkinson's Webinar Available: Does Exenatide Reduce Non-Montor Symptoms? 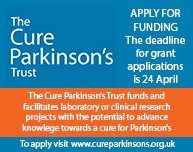 JPD is working in partnership with The Cure Parkinson’s Trust (CPT) to provide information about breaking research news to be featured on the new web portal for people with Parkinson’s (PwPs) called Parkinson’s Movement: parkinsonsmovement.com. 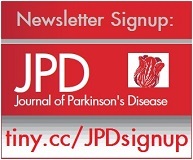 As part of this collaboration, a brand new Quarterly Parkinson's Webinar Series sees the the discussion of specific Parkinson's disease research topics is brought into the open. The first webinar in our quarterly series took place on June 19, 2018. 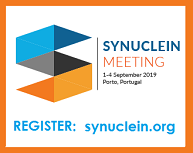 The topic for discussion was: "Does exenatide reduce non-motor symptoms in Parkinson’s disease?” The webinar was chaired by JPD Editor-in-Chief Patrik Brundin and joined by fellow panellists: Tom Foltynie from UCL in London, who led the exenatide trial; Nigel Greig and Dimitrios Kapogiannis from the NIA (National Institute on Aging); and exenatide trial participant Penny Kustow. To view the recording, click below. The aim of the Parkinson's Webinar Series is to widen engagement and increase transparency. Communicating about research is a vital aspect of creating awareness. The discussion of the first webinar focused on a clinical trial that measured the effects of exenatide on non-motor symptoms of Parkinson's disease; this study was recently published in JPD, see here. One of the researchers in this study (Tom Foltynie) and one of the trial participants (Penny Kustow) explained their roles in the study, and were joined in the discussion about exetanide and its future potential by fellow PD researchers Nigel Greig and Dimitrios Kapogiannis from the NIA (National Institute on Aging) and, the chair of the webinar, Patrik Brundin (JPD Editor-in-Chief). The Parkinson's Movement website has one section where research articles that hit the news are put under the microscope, debunking myths, balancing over hyped headlines and ensuring the research is placed in context.